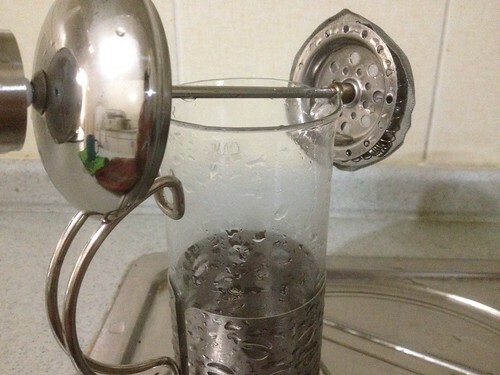 That's my French press, condensation sets just mere seconds after washing it. Despite being the summer months, the tap water remained very cold. Not icy cold but I am guessing somewhere around 15 to 20 degrees Celsius. I asked my local staff about this and they explained that the temperature underground, where the city pipes are laid, is very cold. Something that I have not experience before elsewhere. .... until the people starts filling up the entire place during peak hours.